El Pinto is a busy place and therefore generates a lot of food waste. 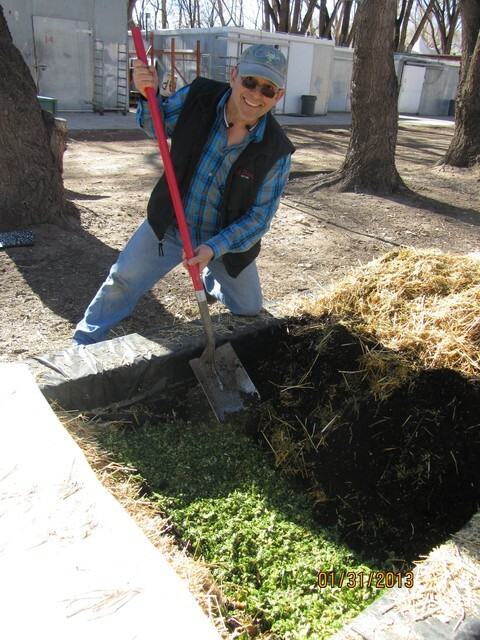 Owners Jim and John Thomas didn’t want to keep throwing all that biodegradable material into the trash, so about six years ago they started experimenting with a form of composting they’d learned about on a visit to Chihuahua—vermicomposting. Composting with worms. Stanley Crawford, novelist, memoirist and garlic farmer is telling me about the experience of driving back to his home near Dixon after a day of shopping, movie-going and dinner in Santa Fe. He talks of leaving the barrage of consumer goods and emerging into the Rio Grande canyon; the feeling of being suddenly surrounded by rocks and juniper and piñon.